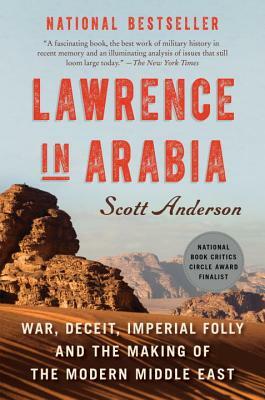 Anderson deftly juxtaposes the story of Lawrence and three other young diplomatic adventurers. The result is a fascinating, highly entertaining read which explains how the modern Middle East was created by imperial ambitions and why it is such a source of conflict today. The Arab Revolt against the Turks in World War I was, in the words of T. E. Lawrence, “a sideshow of a sideshow.” As a result, the conflict was shaped to a remarkable degree by a small handful of adventurers and low-level officers far removed from the corridors of power. At the center of it all was Lawrence himself. In early 1914 he was an archaeologist excavating ruins in Syria; by 1917 he was riding into legend at the head of an Arab army as he fought a rearguard action against his own government and its imperial ambitions. Based on four years of intensive primary document research, Lawrence in Arabia definitively overturns received wisdom on how the modern Middle East was formed.